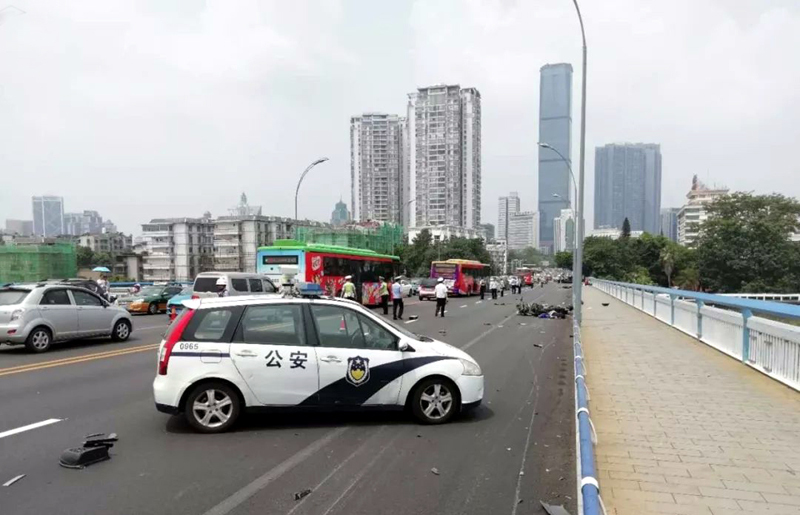 At 11 am this morning, a serious road “accident” occurred on the westbound side of Wenchang Bridge near the Liuzhou Hotel. 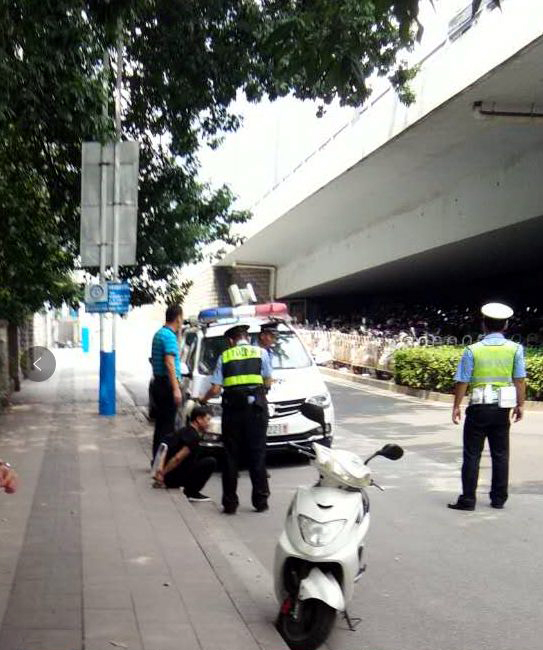 An out-of-control SUV ploughed into a number of e-bikes causing serious damage and injury, leaving broken people and bikes and parts littering the road. The bridge was completely closed for a short time, longer for westbound traffic, then opened in two directions using the eastbound lanes. Obviously this affected traffic all over the city centre.. 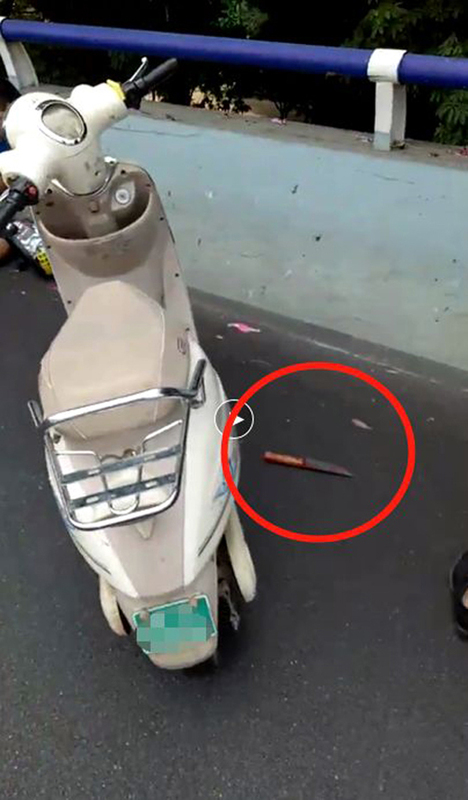 It is reported (but not officially confirmed) that the driver then left his vehicle carrying a knife and started shouting and cursing at passers-by and his victims. Then he allegedly dropped the knife and attempted to escape. The SUV driver was quickly apprehended by police and is now in custody while enquiries continue. 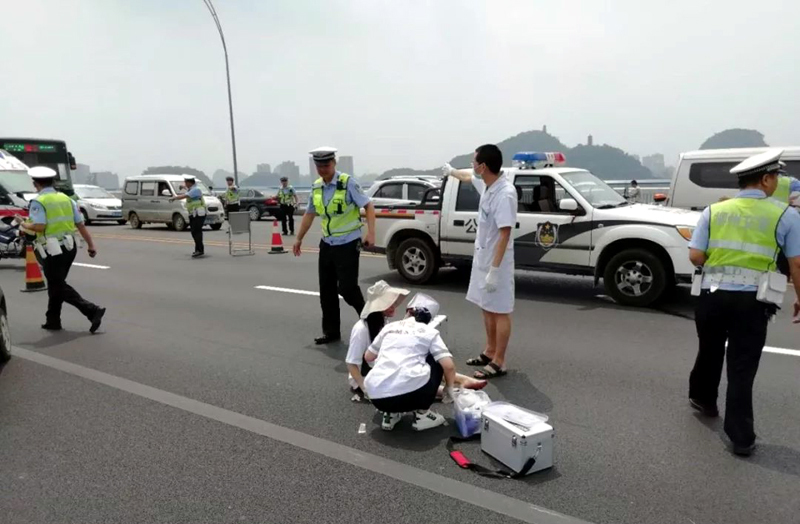 Several of the injured were treated on the bridge by staff from nearby hospitals. No information has been issued on their condition. Source: Here including video of the aftermath and the arrest of the driver. (Chinese).
. 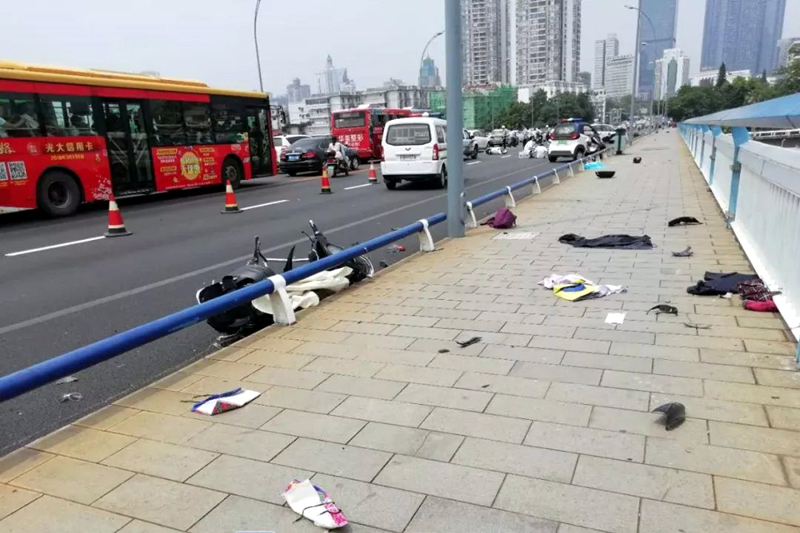 This entry was posted on Monday, August 20th, 2018 at 3:04 pm	and is filed under Liuzhou News, Traffic Traumas. You can follow any responses to this entry through the RSS 2.0 feed. Both comments and pings are currently closed. 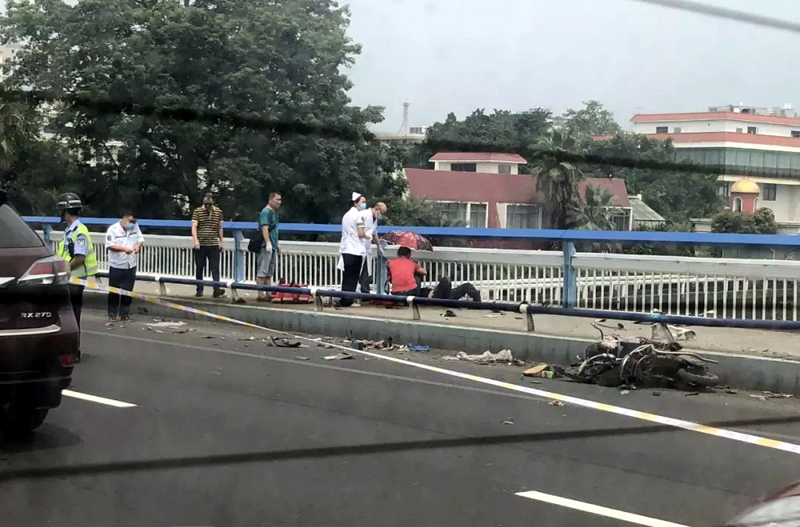 Seems the driver earlier killed a few of his family members (~4), and then intentionally tried to kill a bunch of random people as well later on the bridge (~2) driving into ebikes and then attacking passerbys with the knife, many injuries. Yes, thanks. I had heard that yesterday, but didn’t want to say anything until it was confirmed by at least one news report. Please see my latest post.